Less than 24 hours after replacing the retired Urban Meyer as Ohio State’s head coach, Ryan Day wasted no time in making his first hire. 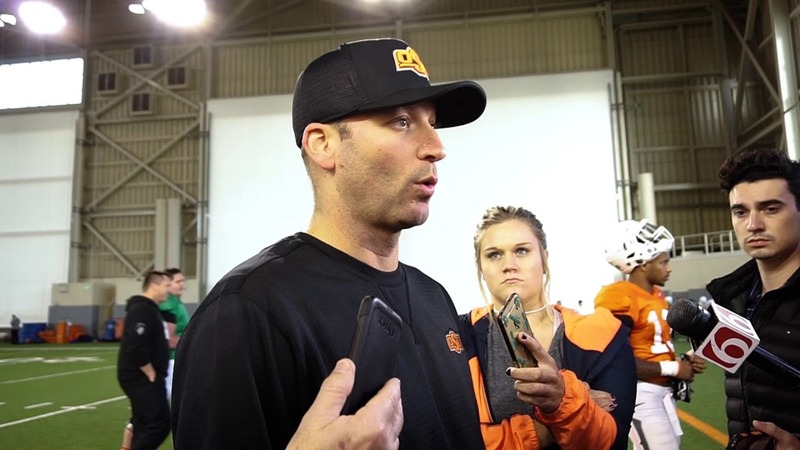 The Buckeyes made an official announcement Wednesday night that Mike Yurcich, former Oklahoma State coordinator of offense, had been hired as the quarterbacks coach and passing game coordinator by the football program. During the press release, Coach Ryan intimated how excited he was to reveal that Mike was joining the Ohio State coaching staff. He alluded to the fact that not only was it a case of an Ohio native coming back home but also mentioned the extreme talent of the new acquisition who had enjoyed tremendous success throughout his coaching career. Coach Ryan noted that the Oklahoma State offenses, under Mike Yurcich, have been one of the most efficient in college football and expressed his eagerness to finally welcome Mike Yurcich QB coach and introduce him to his staff, players, family, and the entire community. The first rumor that Day was interested in signing Yurcich was reported last month, an Ohio State release, and it seemed like a foregone conclusion that he would be coming to the city of Columbus on Dec 28th. On New Year’s Day, prior to the Rose Bowl where the Buckeyes were facing the Washington Huskies, Austin Ward from Letterman Row reported that Mike Yurcich would, without a doubt, be the acquisition after hearing from a number of sources.